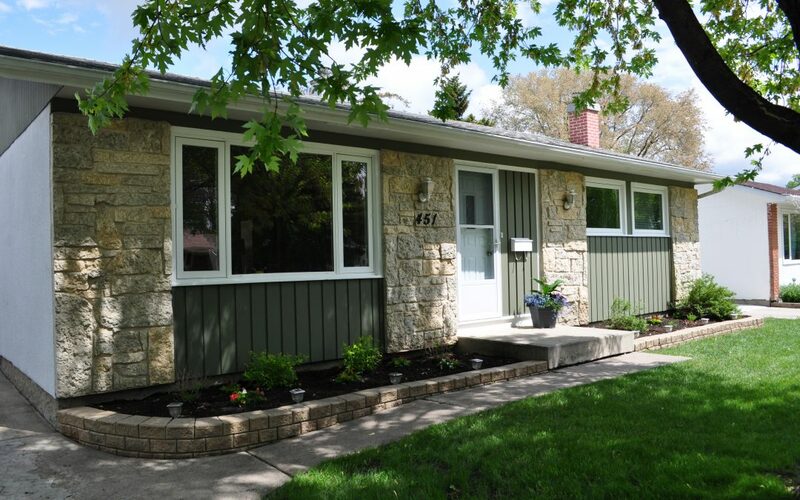 Come see this well cared for updated and modern home nicely located on Donwood Dr. Spacious eat-in kitchen with new counters, backsplash, flooring, granite sink with pullout faucet and featuring a Kenmore appliance package with ultra quiet dishwasher. Main bathroom looks like it should be in a magazine with custom Springfield vanity, Kohler brand sink and toilet and high end Mirolin bathtub and surround. Stained oak hardwoods throughout main floor and new PVC windows. Basement is fully finished with beautiful custom built in entertainment centre with gas fireplace, bull nose drywall, surround sound, ceiling is insulated with Roxul insulation and even Smart Strand carpet brand. Basement also boosts a 4th bedroom and a full 3 piece bath with oversized vanity, extra cabinetry, pot lights and finished in a stylish manner. Backyard is amazing with room for almost anything. Come take a look at a quality home with great modern features.